WASHINGTON — NASA and Bigelow Aerospace have reached an agreement that could pave the way for attaching a Bigelow-built inflatable space habitat to the International Space Station, a NASA spokesman said. The $17.8 million contract was signed in late December, NASA spokesman Trent Perrotto told SpaceNews Monday (Jan. 7). Perrotto declined to provide other terms of the agreement, except to say that it centers around the Bigelow Expanded Aerospace Module (BEAM). He said a formal announcement is in the works. 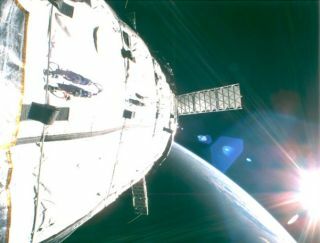 That inflatable space habitat, which is similar to the Genesis-model prototypes Bigelow launched in 2006 and 2007, could be used for extra storage at the space station and provide flight data on the on-orbit durability of Bigelow’s inflatable modules compared to the outpost’s existing metallic modules. Bigelow and NASA have been discussing an inflatable addition to the space station for years. The deal signed in December follows a nonpaying NASA contract Bigelow got in 2011, under which the North Las Vegas, Nev., company worked up a list of procedures and protocols for adding BEAM to the space station. Bigelow got that contract, which did not call for any flight hardware, in response to a 2010 NASA Broad Agency Announcement seeking ideas for support equipment and services meant to help the U.S. portion of the International Space Station live up to its billing as a national laboratory. Last March, NASA spokesman Josh Buck said the agency would tap one of its Commercial Resupply Services contractors, Space Exploration Technologies Corp. (SpaceX) or Orbital Sciences Corp., to get BEAM to the space station. SpaceX and Orbital are under contract for space station cargo deliveries through 2016. So far, only SpaceX has flown to the station. The company, which flies Dragon cargo capsules atop Falcon 9 rockets, completed its first contracted run in October. Orbital, which is developing a cargo freighter called Cygnus for launch aboard its new Antares rocket, is now scheduled to launch a demonstration cargo run in February from NASA’s Wallops Island Flight Facility in Virginia. SpaceX and Orbital both signed Commercial Resupply Services contracts in 2008. SpaceX’s $1.6 billion resupply pact calls for 12 flights. Orbital’s $1.9 billion deal is for eight flights.